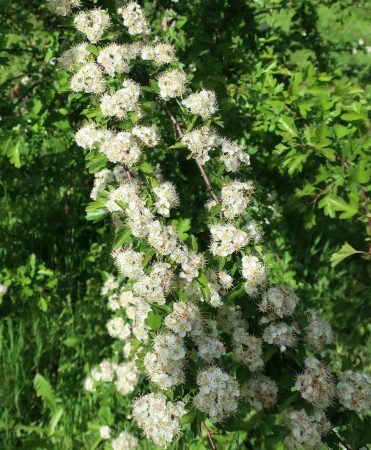 The hawthorn is a small but distinctive understory tree, with its small toothed leaves, thorny branches, delicate white flowers, and small deep red fruits, also known as ‘haws’. Here it flowers early in the spring, putting on a gorgeous display of frothy white blossom that radiates light, freshness and the promise of warmth. 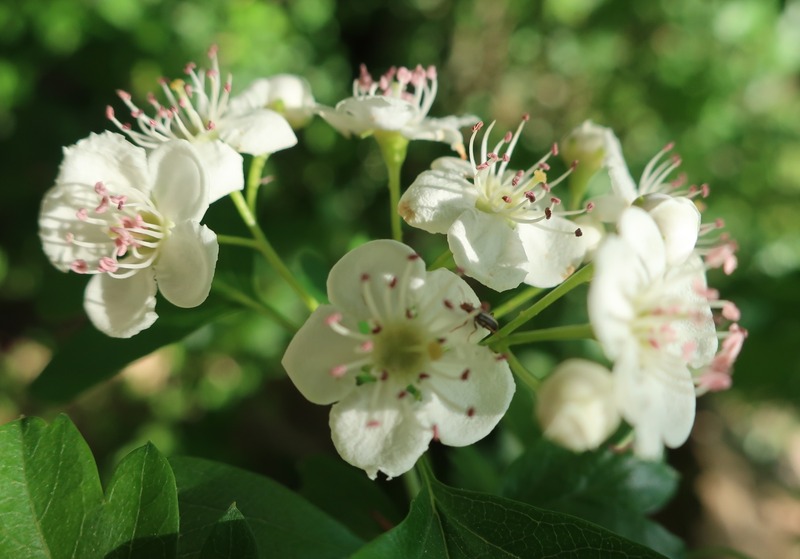 It is a tree used often in traditional medicine for the heart, and medical science has found it to have benefits in treating cardiovascular disease and heart failure. 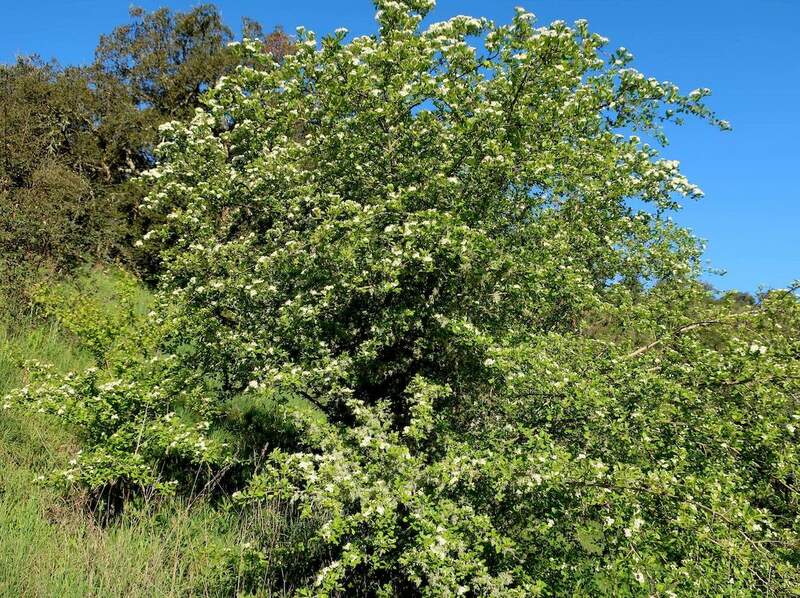 It is a tree rich in folklore and myth. It is associated with fairies, and with ancient spring rites and celebrations. 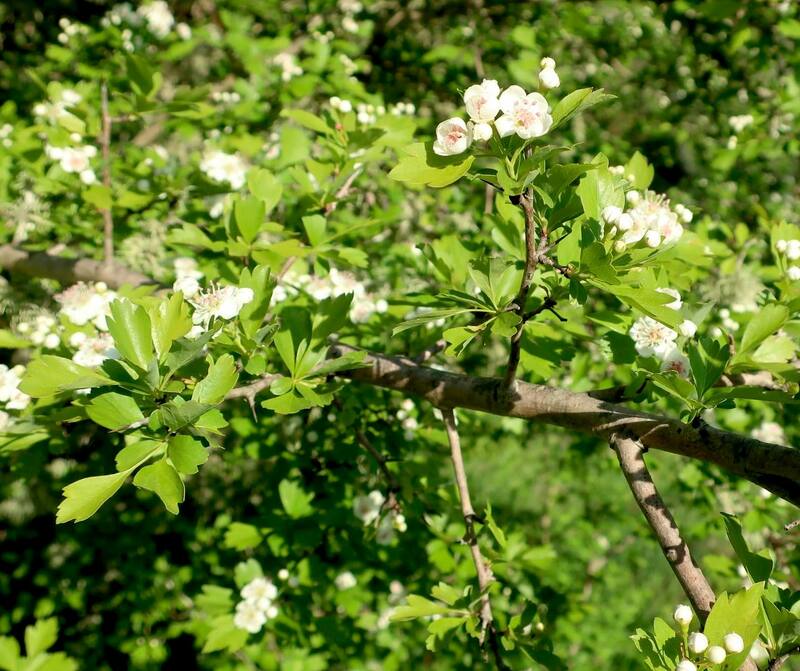 Read more about the Hawthorn and its many uses here. This was the first essence I made. I had been in communication with the tree for some days before making the mother essence, opening up to receive its energetic transmission. I made the essence from one small tree growing amidst a grove of eucalyptus. The tree had a very lively energy, growing with grace and lightness in a challenging spot. A light breeze and birdsong fill the air. The branches curve down towards the ground. The delicate flowers are filled with joyful light. I felt the ‘soul’ of the tree visit me with a big clear presence. The feeling came of instant clarity, that gently removes fog and allows one to drop into the heart, and see from the heart. A sense of gentle courage. As the essence bowl sat nearby infusing in a sunny spot, I received the download from the tree-soul and I also perceived the power of ethno-botanic knowledge of the plant from the past ancient cultures of Europe. The enduring relationship between this tree and the human being. I connected with vague visions of ceremony and ritual, a deep respect for the tree, and how it facilitated connection with nature spirits. Clear light. Lightness of heart. Uplifting. Levity. Clarity of emotional seeing. Marriage of spirit. Celebration. Joy. Healthy balance in love relationships. Clear boundaries. Heartiness (strong of heart). Focus. Seeing from the heart. Heaviness of heart / chest. Knottedness in chest. Heart feeling weak. Lack of discernment and clarity in love relationships. “Open heart surgery’. Depression. Lacklustre. Numbness. Greyness. Fogginess, confusion, drifting, lack of focus.